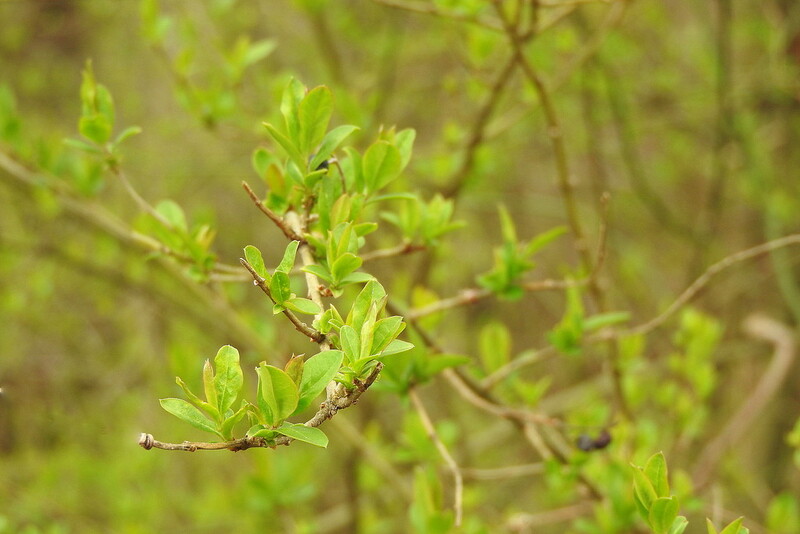 All of the smaller shrubs and trees are sprouting leaves. These specific trees will be cut down tomorrow, as they are growing in the middle of the trail my son is going to make for his Eagle Scout project. There was a trail here a long time ago, but it is completely overgrown or washed out from flooding. I hope your son is getting help with this project, because it sounds like a lot of work.